Emily Thorne, the main protagonist, has been described as a flawed and multifaceted heroine figure. Her need of getting revenge is like a flame which burns whoever gets in her way. 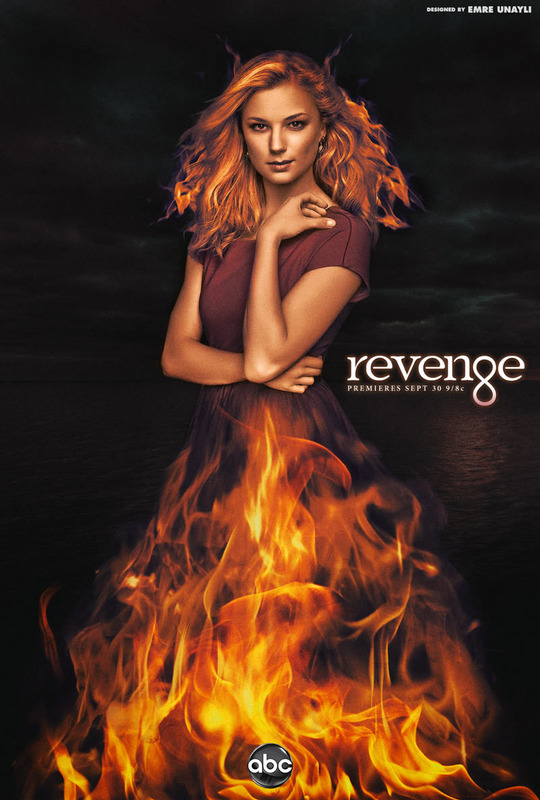 The original promotional posters of this series has been featured the character in a dress made of thorns, two times in a row. While the idea is good and works with the character’s last name, I believe that it should be changed in the upcoming posters in favor of the creativity. 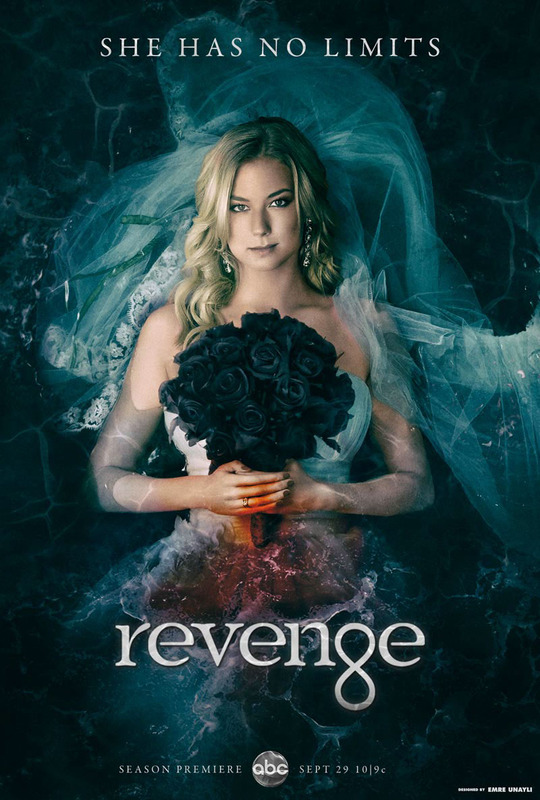 Season 3: This season opens with a flash forward to Emily Thorne’s long awaited wedding to Daniel Greyson. We see the new bride getting shot twice by an unseen figure and falling on the water, making her demise a mystery for the rest of the season. I used a promotional picture of Lars Von Trier’s Melancholia as a resource, but not as an inspiration.